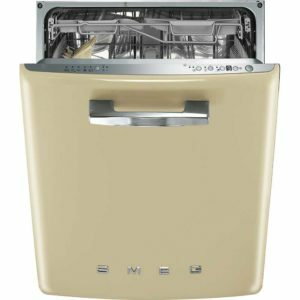 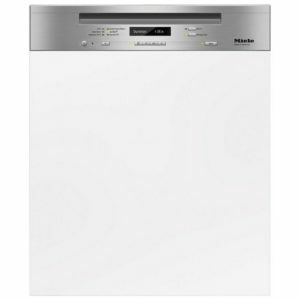 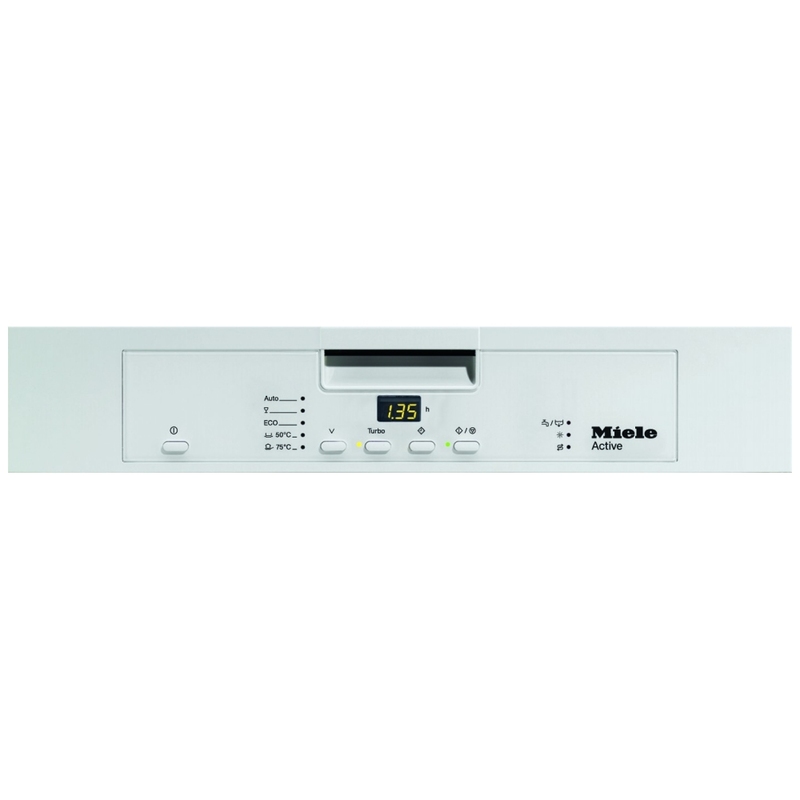 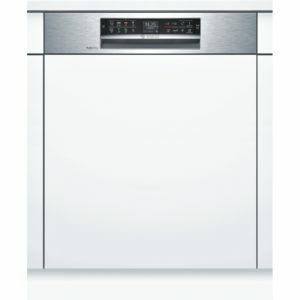 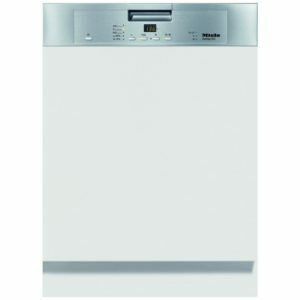 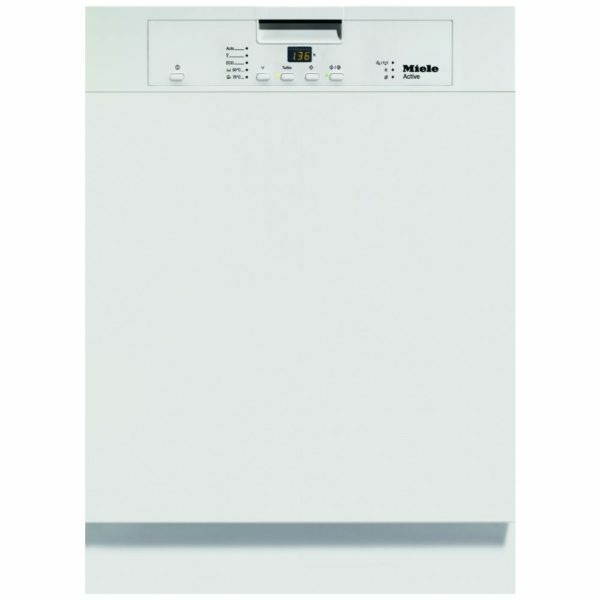 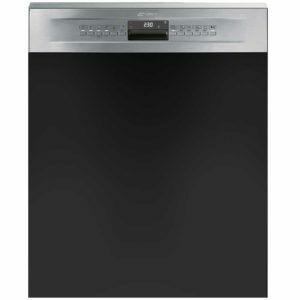 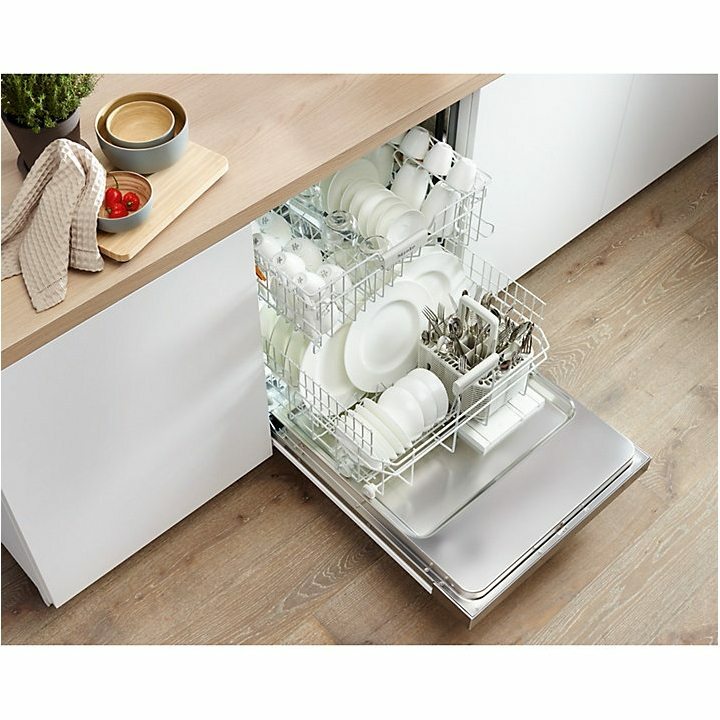 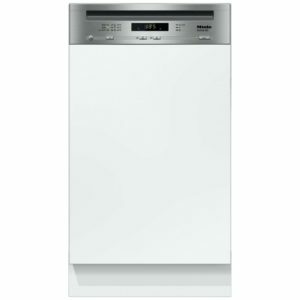 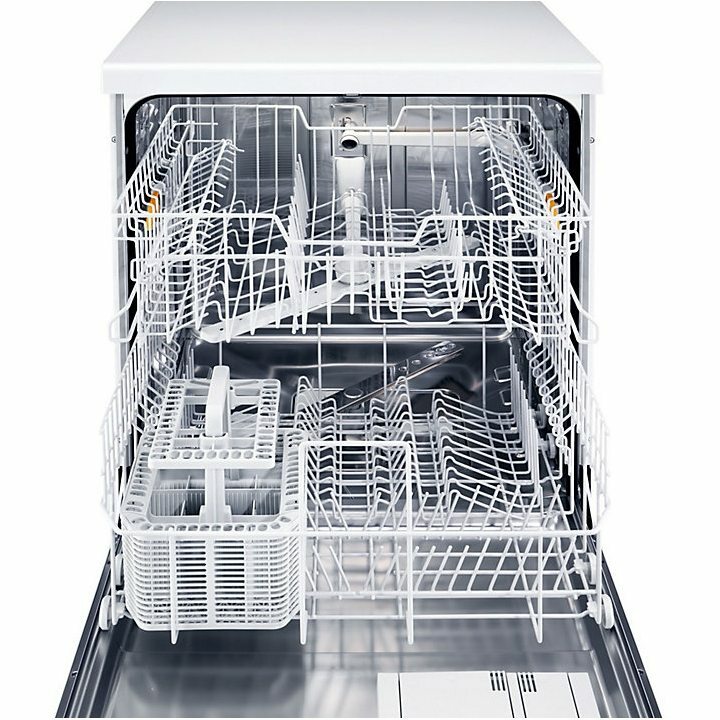 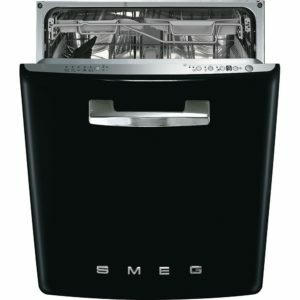 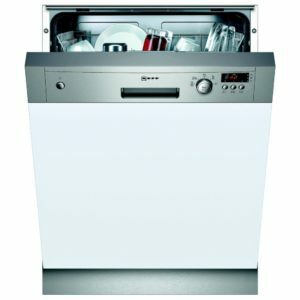 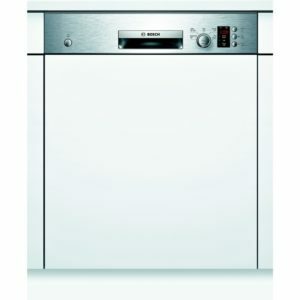 This superb white semi-integrated dishwasher from Miele offers room for 13 place settings and 5 wash programmes, ranging from Eco to the Pots and Pans wash, for those baked on foods.. 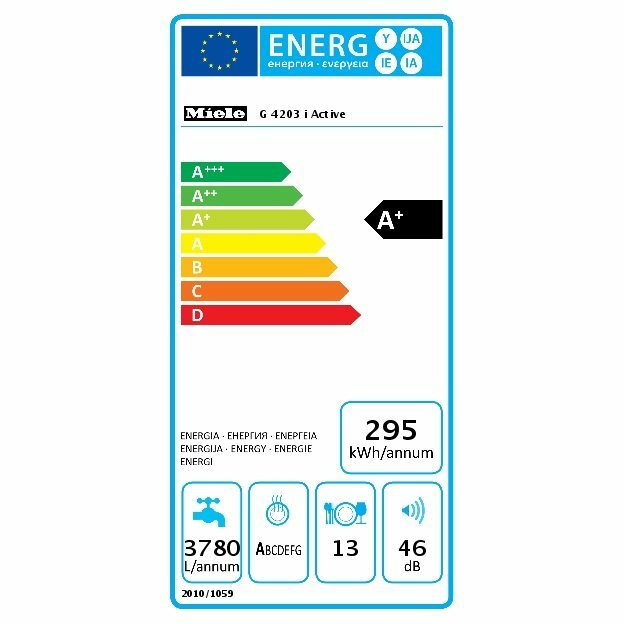 It has an A+ energy rating and a 46 decibel noise level. 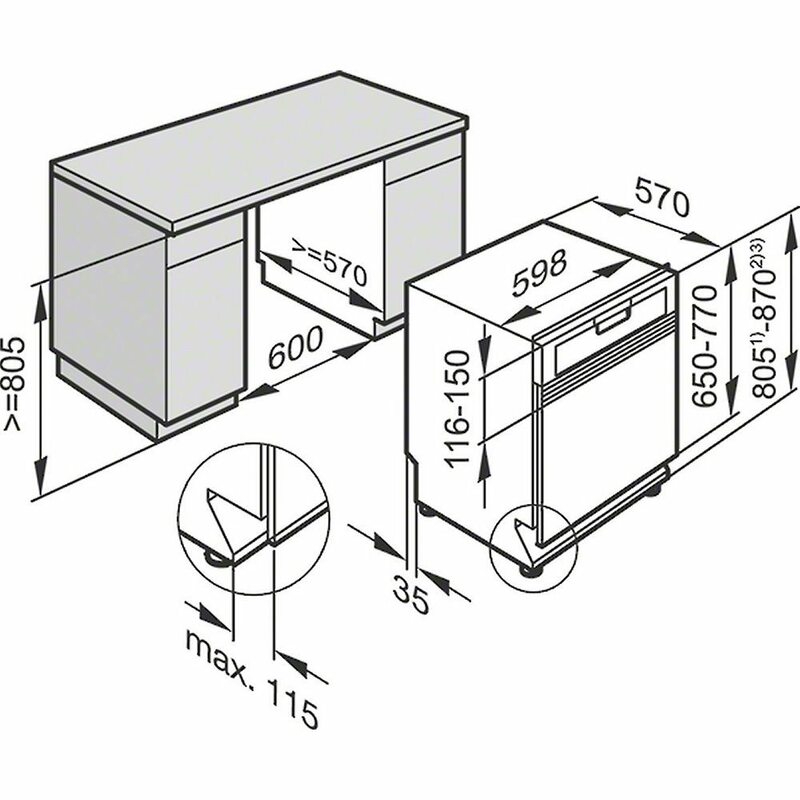 This unit is designed to be hidden behind a furniture door with just the control panel remaining visible.